I have been a professional mentalist for a few decades. Upon reading the "Professional Mentalist's Field Guide", besides having lots of experience, I found even more insight into the performance of mentalism. Some of what Richard wrote, I already knew from both experience and Richard's philosophy over the years.But I found many nuggets in this book that I will seriously consider when practicing and performing. Not since Ken Weber;s "Maximum Entertainment" has a book given as much expert advice. 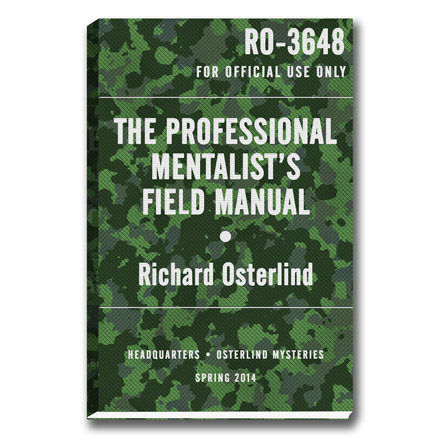 "The Professional Mentalists Field Manual" is a must read for all mentalists, of any experience level, as we can all improve our performances. Highly recommended!